I have another gift certificate from Deal Pickle to give away! This time it's a $22 Gift Certificate to The Off Broadway Theatre in Salt Lake City! It's good for 2 tickets. Right now through March 19th they are showing The Phantom of the OBT! Deal Pickle has a lot of great deals for Utah going on all the time, not just one a day. They have an easy site to navigate, and their gift certificates are FANCY! 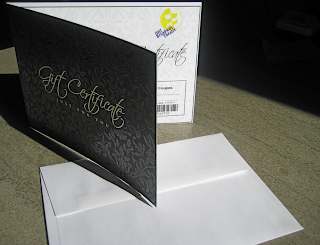 They come with envelopes and make GREAT gifts (and they look like a gift). There is a shipping charge of around $2 so keep that in mind when ordering. 1. Leave a comment stating your favorite Deal on Deal Pickle. Tweet/Facebook/Email about Giveaway - please add @tightwadinutah and link back to this post in your tweet. Giveaway will end Thursday February 24th at 10 p.m. MST. Winner will be chosen by Random.org. I was given a gift certificate for review, no other compensation was received. All opinions are my own. All information gathered for the giveaway will be discarded when over. I like their FastKart indoor Go Kart deal!! Awesome! oooo a half price Mrs. Cavanaugh's chocolate gift card? I am so there!! 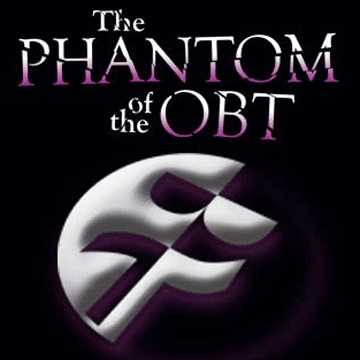 then again, we are BIG Phantom fans, so this show at the Off Broadway Theatre (that we've wanted to go to before) would be a great deal, too!! THere are lots of good food places. I like anything I don't have to cook! lol! I love the Royal India one or the TCBY gift cards. Thanks! Mrs Cavanaughs, all the way!! LOVE the Mindy Mints!! I love the Window Box deal! Who wouldn't want to get fresh flowers?! My fave deal is the Salon and Spa 5th Ave Spa Pamper Package. I would love to win the Off Broadway tickets for my mom though!! The window box deal looks neat. You can never go wrong with flowers!